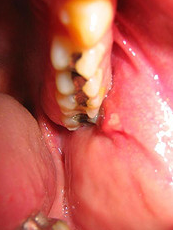 There are three major salivary glands found in the mouth, along with many more minor ones. Each of the major salivary glands produces slightly different quality of secretion, some being more watery and others with a thicker consistency. All these secretions are combined together in the mouth to form saliva. Saliva consists of mainly water (95%), enzymes, salivary proteins and ions. All these contribute to the various functions of saliva as a solvent; lubricant; buffer system; anti-bacterial, anti-viral and anti-fungal; and cleansing agent. Saliva acts as a solvent to dissolve food for stimulation of taste buds on our tongues. The dissolution also initiates the digestive process. Saliva acts as a natural lubricant which not only helps us speak properly, but also coats the food to ensure smooth movement through the digestive system. The ions in saliva are the key behind the buffering system in the mouth where acids are neutralised. It is when this buffer system is overwhelmed or inadequate that dental problems such as tooth decay develop. Anti-bacterial, anti-viral and anti-fungal properties of saliva come from the enzyme and salivary proteins, which helps to kill foreign organisms in the mouth. Saliva also naturally cleans our teeth after a meal by trying to flush out debris adhered to tooth surfaces. This prevents food stagnation, especially sugar components on tooth surfaces, which can be a great source of energy for bacteria. How can saliva affect our oral health? From above, we’ve established the important functions of saliva. All these functions are part of our saliva’s natural protective mechanism and if impaired, can cause oral health problems. There are two main aspects of saliva, the quantity and quality. When our salivary glands failed to produce adequate quantity of saliva, also known as hyposalivation, our mouths will become dry and unable to self-cleanse. And when our salivary glands failed to produce proper quality of saliva, our saliva will not be able to buffer acids effectively. These causes a whole strings of oral health problems, depending on the severity of the impairment. Common oral health problems arise from poor quantity and quality of saliva includes dental caries or tooth decay, halitosis or bad breath, and gingivitis or gum diseases. As stated in part 1 of the article, oral health is linked to our general health and in this case, lack of proper saliva can cause speech, chewing and swallowing difficulties. This is especially true in patients with dentures or plates that relies on saliva for retention and stability. What causes dry mouth or hyposalivation? There is a common misconception that reduced saliva production is related to aging but this is not true. Saliva production in a healthy aging individual is not much less than a young person. Although saliva production does not decrease with age, a lot of other factors such as medications and diseases can impair saliva production. The frequency of these events usually increases with age, hence the misconception. Chronic usage of certain medications such as depression or anxiety tablets can cause salivary gland dysfunction, which reduces amount of saliva produced. Primary disease of the salivary glands such as Sjogren’s syndrome, salivary gland stones and blocked salivary ducts can also affect saliva production. Secondary diseases that require chronic dosage of medication as stated above and radiation therapy are other factors that can make one susceptible to dry mouth. Diabetes in particular can cause secretion of glucose in the saliva leading to a change in consistency from watery to sticky and thick. Inadequate fluid intake can sometimes cause dry mouth but this is rather unusual. If you are concern about your mouth feeling too dry, arrange a consult with your dentist as there are several tests that can be done to diagnose a true dry mouth. 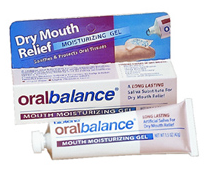 Unfortunately there are not many ways to manage dry mouth and most of them being symptomatic-based. Alternative medications can be substituted but this is generally not recommended without consultation with your medical practitioner. Patients affected with dry mouth are asked to drink small sips of water throughout the day to keep their fluids up. Saliva substitute such as Biotene can be used but patients often find them hard to tolerate. Saliva, though insignificant to many, actually plays a very important role in maintaining oral health and those who are more susceptible to dry mouth should take extra care of their oral hygiene and dietary choices to prevent oral health problems.